We Offer a complete range of conveyor components such as various types of belts, idlers, pulleys, skirtboards, scrappers, safety switches, chutes, weighers, counters, chains, idler frames, magnetic pulleys, magnetic separators, hoppers and many more. This superior quality Wire Mesh Conveyor manufactured by us is offered in two variants, such as chain and sprocket driven and pulley driven. These are ideally suited to carry out efficient loading and thus, find usage in drying operations, painting, wet or oily applications and extreme temperature applications. We make use of high tech tools and machinery to engineer these products. Available at market competitive prices, these are highly demanded in the industry. We supply high quality Rubber Belts which are used for conveying applications. These belts are as per IS 1891 and are available in multiple plys - 3/4/5 and different cover thicknesses and grades. The carcass constructions available are N/N, EP & steel cord. 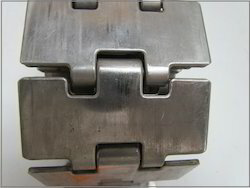 The belt cover grades available are M - 24, N - 17, SHR (T-1), SHR (T - 2), OR, FR, etc. Return Idler Roller are used to support the conveyor belt and are installed on the groove shape frame, Groove shape forward inclined idler frame and transition idler frames. Rollers include high quality bearing, multi-labyrinth sealing, greased and sealed for life and critical specifications essential for high performance. 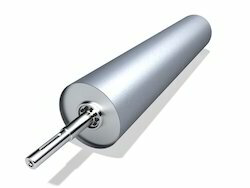 Rollers are designed for smooth rotation, low noise, and long service life. Each roller come out through strict inspection and test to ensure high level quality. Roller Surface Colour : Any colour as per customer request. We manufacture a wide range of Magnetic Head pulleys with different gauss strength for various applications. Our pulleys are in SS construction and use different kinds of magnets such as Strontium ferrite, Molybdenum and other rare earth magnets depending on the required pulling strength and application. Our pulleys come with guaranteed gauss strength to work as per the needs of the application. We use only high quality magnets from trusted sources having superior life and sustained performance for many years. Our Conveyor rollers are made from high quality materials with precise alignments to ensure long life and reliable operation with greater flexibility. Can be transformed into profiles with any number of horizontal turns. Available in options of Powered material flow using electric motors or Gravity flow using height differentials. Can be compacted upto one third in length, for easy storage. Fitted with heavy duty castors for ease of movement and flexibility inside truck floors. Robust structure design ensures greater flexibility & hassle free operation. Available Roller Diameter 63.5 mm, 76.1 mm, 88.9 mm, 101.6 mm, 108 mm, 114.3 mm, 120 mm, 127 mm, 133 mm, 139.7 mm, etc. Idler rollers are made with IS 9295 MS tubes with controlled ovality and eccentricity for smooth performance and long life. 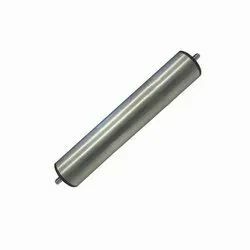 These rollers have high quality SKF/FAG bearings that are greased & sealed for life. The bearings are housed in CRCA housings and packed and sealed for life by multi labyrinth seals. Capable of handling higher loads due to proper fitment & balancing of rollers. Zero maintenance & long life. As the belt is conveyed around the magnetic pulley, metal contaminants are held in place until they pass through the magnetic field where they are safely discarded separate from the clean product.A diverter is typically installed below the pulley to direct the metal contaminants away from the cleaned product.Head Pulley Magnets provide continuous self cleaning on products conveyed by belt. As product is conveyed along the belt it reaches the head pulley and enters the magnetic field where metal contaminants are attracted and held tightly to the belt surface. 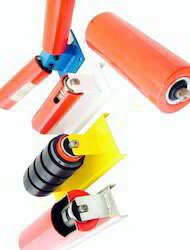 Our range of High quality gravity rollers covers the entire spectrum of applications from light to medium to heavy duty. Of particular benefit to gravity applications are our free running bearings that allow gravity conveyor rollers to work to their optimum leve. Wide range of tube and shaft options. Special seals for best bearing protection against dirt, water and dust. Economically priced. Antistatic range available. We manufacture & export a high quality Conveyor Idler Frame. This frame is designed by our skilled technocrats using high grade basic material as per the set industry norms. The offered range is available in various specifications and can be customized to meet the exact needs of the clients. We assure our clients that offered frame is quality tested on various parameters. 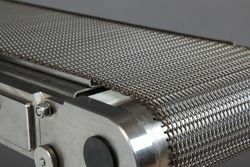 Backed by rich industry experience, we are presenting a vast variety of Stainless Steel Slat Conveyor Chain. 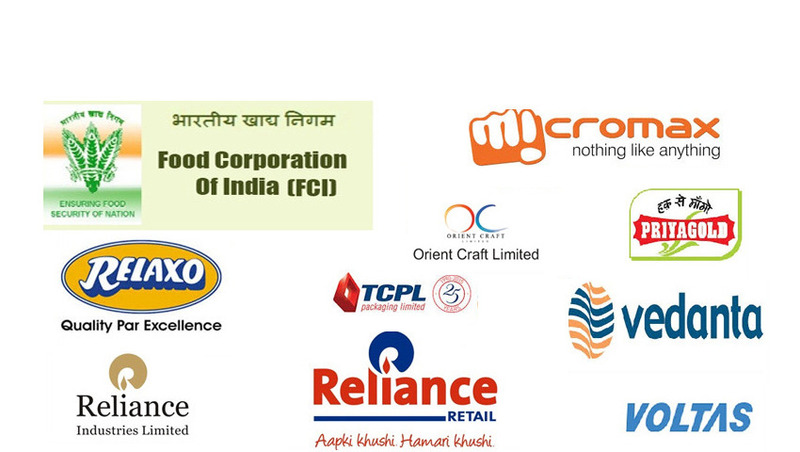 The offered Chains offered by us find wide application in various industries and sectors. Moreover, our team of experienced members manufacture the entire range as per various defined parameters to ensure their adherence with international standards and guidelines. Key Specifications/Special Features:Link plate/chain conveyor line is a very robust belt that is made of stainless steel and driven by sprocket. Perfect for conveying small products, smooth running, easy to maintain, durable, constructed of plates or hinges linked together by means of cross rods. The belt is almost always equipped with side chains. The chains are secured by a ring welded at the cross rods ends. Characteristics: high strength, sanitary keeping, heat & erode-resistant and also flexible and enduring. Application: wire belt is widely used in wide range of industries, including food processing, electronics, pharmaceutical, automotive, glassmaking, printing and textile applications. We offer wide assortment of Roller Chain. Our product is available as per the international industry standards and in recommended specifications. This Roller Chain is highly demanded in the market for their best quality and durability. We provide corrosion resistant and safe to use products to our patrons. Our range of Wire Mesh Belt Conveyors is assembled with the use of stainless steel and pins which are in turn fitted in hollow pin chain. These conveyors are used to feed hot billet to forging press and also to feed forged job to trim press from forging press. Wire mesh conveyor belts are also used in worldwide industries such as heat treating, forging, foundry, food processing, snack food, baking, ceramics, glass, automotive etc. Impact rollers are used as carrying rollers instead of normal steel rollers at a loading point. 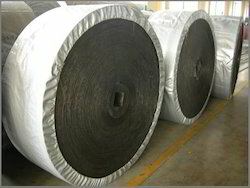 On steel roller there are rubber rings assembled, side by side, to absorb the weight and impact of material falling onto the belt. 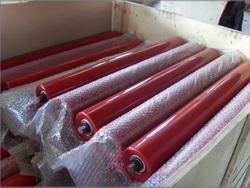 At the same time impact rollers reduce the shock and vibration through the steel structure.